Ready for a melt-in-your-mouth, fudgey, gooey, chocolate cookie? 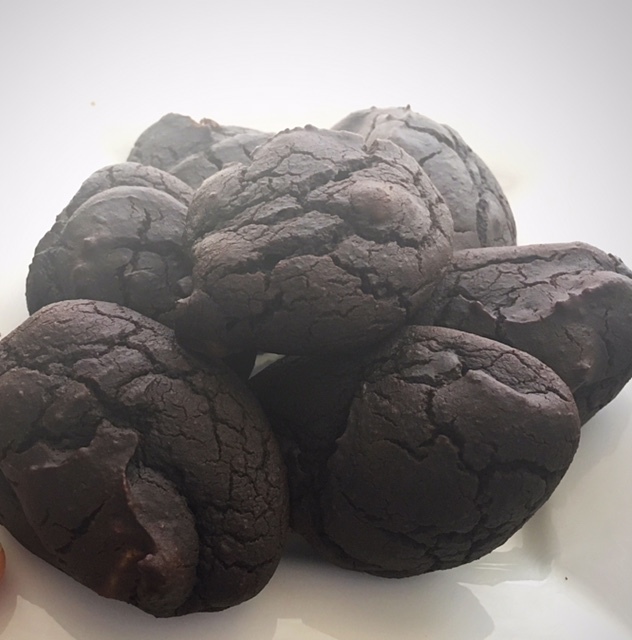 Then you must try out this black bean chocolate fudge cookie. They’re completely grain-free and dairy-free, with only 6 grams of sugar per cookie! A 15oz can of black beans (rinse and pat dry) takes the place of flour in this recipe. Black beans are a great source of fiber, protein, potassium, iron, magnesium and calcium. Just puree them in your food processor along with the rest of the ingredients and you have a silky, dark chocolate batter. For an extra crunch, add chopped nuts like walnuts, peanuts, or pecans to the batter. You can also add dark chocolate chips for even more decadence! This recipe makes 15 cookies. Add all of the ingredients, except the nuts and the chocolate chips, to the food processor. Blend until the batter is well combined and smooth. Mix in the nuts and chocolate chips with a spoon. Place a spoonful of batter to the baking sheet, making about 15-cookies total. Bake for 18 to 20 minutes, or until a toothpick comes out clean.